Love is a special thing that should be enjoyed, cherished & treated with kindness. 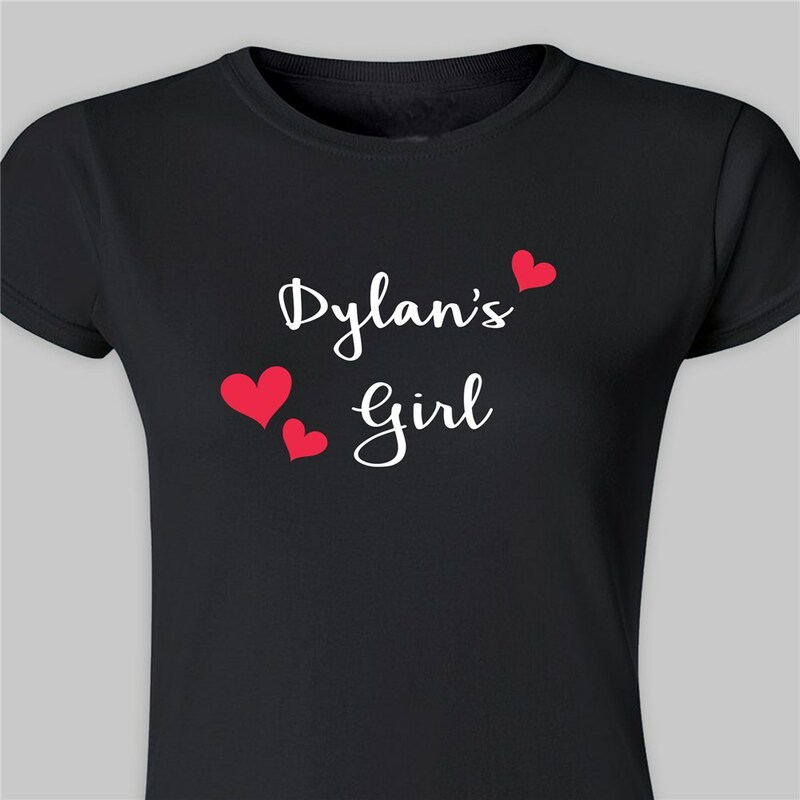 Give your sweetheart this attractive Personalized Valentine's Day Womens Fitted T-shirt that lets everyone know she is in love with you. Such cute Personalized Valentine's Day Gifts For Her that look great year round. 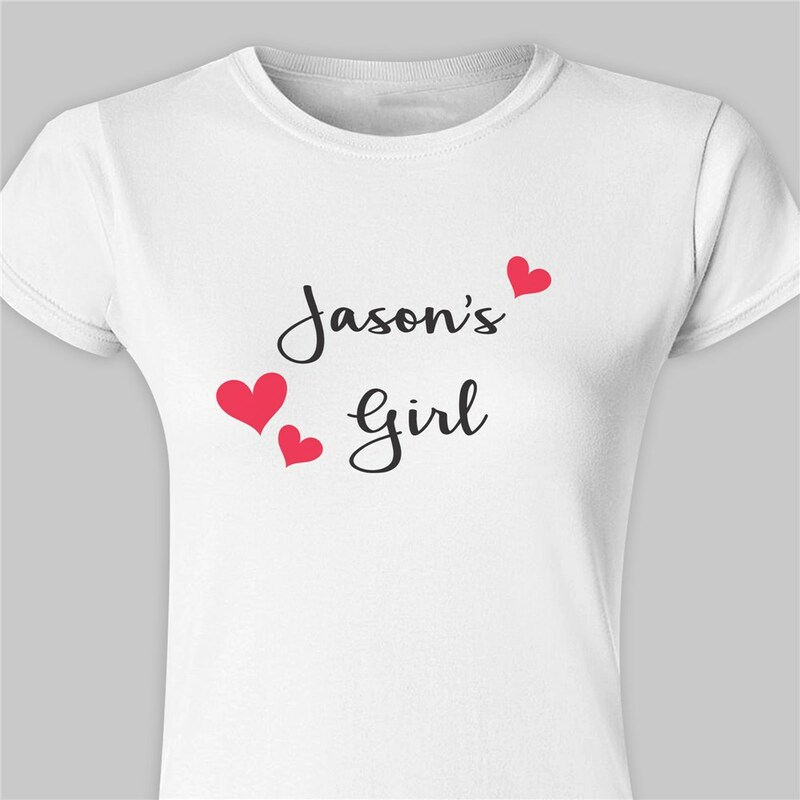 Our Personalized His Girl Fitted T-shirt is available on our premium 100% soft-style cotton Personalized Women's T-Shirt, machine washable in adult sizes S-2XL. Please Note: 3XL available in black and white only. Shirt is 4.5 oz , pre-shrunk, double-needle stitched sleeve and bottom hemmed. Personalized His Girl T-shirt includes FREE Personalization! Personalize your His Girl T-shirt with any name. A great gift idea for girlfriends and wives! The description did not say that the shirt ran very small. Additional Details Outfit the love of your life in their own Personalized Valentine Gifts from the heart. GiftsForYouNow specializes in great Valentine's Day Gifts at very affordable prices. Shop GiftsForYouNow today.